I've just moved house and I'm in that horrid in-between week as I'm currently sleeping on the couch until housemate Peter moves out. I can't wait to start nesting and fit out my new room! My cousins helped me move and couldn't believe how much I've accumulated in a year. I was surprised at how many boxes I had, but really... I wasn't that surprised I have a lot of stuff. I like my stuff. I've already talked about my friend Jess who is a graphic designer and artist and, of course, blogs! 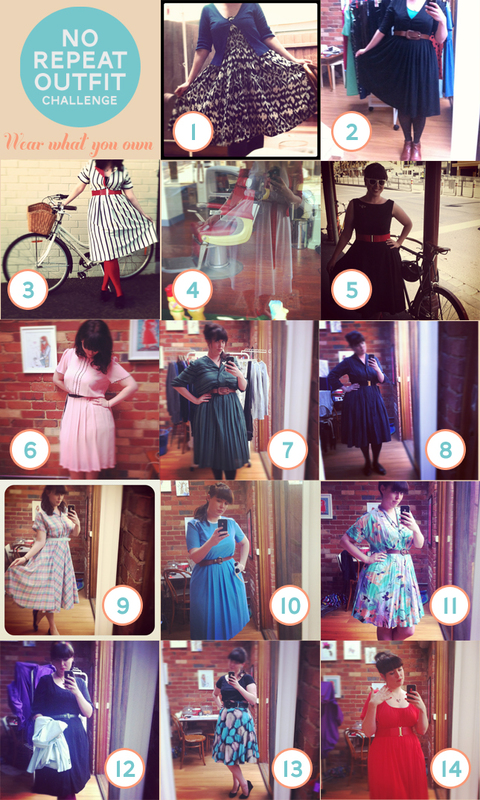 She's currently undertaking a massive fashion challenge - the No Repeat Outfit Challenge. I think it's such a great idea to get out everything you wear in your wardrobe. At the very least it will make you realise what you just can't wear, because if you don't feel comfortable in it, you'll never wear it. I also love Geneva's Wardrobe Rehab and think I'll be doing that when I get into my new room too! Jess also designed the personalised stationery I bought for my friends as a wedding present.